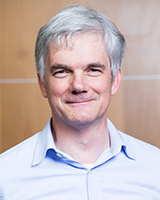 Professor John Buchanan is Head of the Discipline of Business Analytics at the University of Sydney Business School. Previously, between 1988 and 1991 he was part of the team that undertook the first Australian Workplace Industrial Relations Survey (AWIRS). In 1991, he joined the Workplace Research Centre (formerly acirrt) and served as its Director from 2005 - 2014. Buchanan J, Raffaele C, Glozier N, and Kanagaratnam A (2016) Beyond mentoring: social support structures for young Australian carpentry apprentices; NCVER, Adelaide, 1-69. Buchanan J (2015) 2015 Environmental Scan - Building a Healthy Future: Skills, Planning and Enterprise; Community Services and Health Industry Skills Council Ltd, Sydney, 1-50. Wheelahan L, Buchanan J, and Yu S (2015) Linking qualifications and the labour market through capabilities and vocational streams; NCVER, Adelaide, 6-48. Buchanan J, and Ryan R (2014) Sustainable work: developing a framework for health and working life researchers and practitioners. Buchanan J, Jenkins S, and Scott L (2014) Student Clinical Education in Australia: A University of Sydney Scoping Study; Workplace Research Centre, Sydney, 1-149. Raffaele C, Buchanan J, and Gleeson K (2014) Why is there a Workforce Shortage in NSW Emergency Departments? Challenges and Options for Action: A Discussion Paper Prepared for the NSW Emergency Care Institute; Agency for Clinical Innovation, Chatswood, 1-75. Smyth P, and Buchanan J (2013) Inclusive Growth in Australia: Social Policy as Economic Investment; Allen and Unwin, Sydney. Buchanan J, Dymski G, Froud J, Johal S, Williams K, and Yu S (2013) Changing employment portfolios and inclusive growth in Australia: Redistributing risks at work Inclusive Growth in Australia: Social Policy as Economic Investment; Allen and Unwin, Sydney, 65-88. Smyth P, and Buchanan J (2013) Introduction Inclusive Growth in Australia: Social Policy as Economic Investment; Allen and Unwin, Sydney, xiii-xxv. Buchanan J, Bretherton T, Frino E, Jakubauskas M, Schutz J, Verma G, and Yu S (2013) Research Report 7/2013: Minimum wages and their role in the process and incentives to bargain; Fair Work Commission, Melbourne, iv-242. Oliver D, and Buchanan J (2013) National Regional Workforce Planning and Development Report; Standing Council on Tertiary Education, Skills and Employment, Melbourne, 12-89. Raffaele C, Fields K, Moensted M, Glozier N, Buchanan J, Rosenberg S, and Young S (2013) Literature Review: Supporting young people with a mental illness in their transition from education into the workplace; Business School, University of Sydney, Sydney, 5-96. Schutz J, Bittman M, Chan S, Jakubauskas M, and Buchanan J (2013) The Changing Situation of Electrical Apprentices: Submission to the Modern Award Review, Fair Work Australia; Workplace Research Centre, Sydney, 4-63. Wright S, and Buchanan J (2013) Research Report 6/2013: Award reliance; Fair Work Commission, Melbourne, 1-231. Yu S, Bretherton T, and Buchanan J (2013) Defining vocational streams: insights from the engineering, finance, agriculture and care sectors; NCVER, Adelaide, 6-48. Schutz J, Yu S, Buchanan J, and Bretherton T (2012) Understanding the nature of vocations today: exploring labour market pathways; NCVER, Adelaide, 7-54. Wheelahan L, Moodie G, and Buchanan J (2012) Revitalising the 'vocational' in flows of learning and labour; NCVER, Adelaide, 7-48. Buchanan J (2011) Productivity and Labour: Four Paradoxes and their Implications for Policy Work and Employment Relations: An Era of Change; The Federation Press, Sydney, Australia, 124-140. Buchanan J, Baldwin S, and Wright S (2011) Understanding and Improving Labour Mobility: a scoping paper; NCVER, Adelaide, 8-41. Buchanan J, Jakubauskas M, and Evesson J (2011) Enabling workforce development: insights from industries using e-learning. Evesson J, Oxenbridge S, Schutz J, Baldwin S, Moensted M, and Buchanan J (2011) Enterprise Case Studies: Effects of minimum wage-setting at an enterprise level | PART 1; Fair Work Australia, Canberra, 1-94. Scott L, Buchanan J, and Bretherton T (2011) Better Workforce Planning: Reflections on recent experiences in Norway, Singapore, the UK and the USA; Skills Australia, Sydney, 4-53. Buchanan J, and Jakubauskas M (2010) The Political Economy of Work and Skill in Australia: Insights from Recent Applied Research Beyond Skill: Institutions, Organisations and Human Capability; Palgrave Macmillan, United States, 32-57. Buchanan J, Scott L, Yu S, Schutz J, and Jakubauskas M (2010) Skills Demand and Utilisation: An International Review of Approaches to Measurement and Policy Development; OECD, Paris, 7-52. Buchanan J, Yu S, Wheelahan L, Keating J, and Marginson S (2010) Impact Analysis of the proposed strengthened Australian Qualifications Framework; Australian Qualification Framework Council, Adelaide, 1-73. Dumbrell T, Schutz J, Norton K, and Buchanan J (2010) Pre-apprenticeships in Victoria; Department of Innovation, Industry and Regional Development (DIIRD), Victoria, Victoria. Buchanan J, Jakubauskas M, and Schutz J (2009) From Preserving to Renovating Australian Apprenticeships: Insights from recent international experiences; Workplace Research Centre, Sydney, 5-40. Evesson J, Bretherton T, Buchanan J, Rafferty M, and Considine G (2009) Understanding vocational education and training, productivity and workforce participation: An issues paper; NCVER, Adelaide, 5-35. Van Wanrooy B, Wright S, and Buchanan J (2009) Who Bargains. Van Wanrooy B, Wright S, Buchanan J, Baldwin S, and Wilson S (2009) Australia at Work: In an Changing World; Workplace Research Centre, Sydney, 1-129. Buchanan J (2008) Values, Research and Industrial Relations Policy: Recent Controversies and Implications for the Future Dialogue (Academy of the Social Sciences in Australia), 27 (1), 30-40. Buchanan J (2008) Labour Market Efficiency and Fairness: Agreements and the Independent Resolution of Difference Economic and Labour Relations Review, 18 (2), 85-95. Buchanan J (2008) Values, Research and Industrial Relations Policy: Recent Controversies and Implications for the Future Dialogue (Academy of the Social Sciences in Australia), 27 (1), 30-39. Buchanan J, Van Wanrooy B, Oxenbridge S, and Jakubauskas M (2008) Industrial relations and labour market reform: Time to build on proven legacies Economic Analysis and Policy, 38 (1), 9-16. Nettle R, Oliver D, Brightling P, Buchanan J, and Williamson J (2008) From "Workforce Planning" to "Collective Action": Developments in the Australian dairy farm sector Employment Relations Record, 8 (1), 17-33. Gordon S, Buchanan J, and Bretherton T (2008) Safety in Numbers: Nurse Patient-Ratios and the Future of Health Care; ILR Press/Cornell University Press, Ithaca, NY. Buchanan J, and Considine G (2008) The significance of minimum wages for the broader wage-setting environment: understanding the role and reach of Australian awards Australian Fair Pay Commission's 2008 Minimum Wage Research Forum; Commonwealth of Australia, Australia. Wise S, Oliver D, and Buchanan J (2008) Corporate Memory or Corporate Senility? Renewing Skills in a State (Rail) Monopoly Work Matters: 26th International Labour Process Conference ILPC 2008; International Labour Process Conference, United Kingdom. Wise S, Oliver D, and Buchanan J (2008) Renewing Skills in a State Monopoly Work Matters: 26th International Labour Process Conference ILPC 2008; International Labour Process Conference, United Kingdom. Buchanan J (2008) Labour market efficiency and fairness: Agreements and the independent resolution of difference Remaking Australian Industrial Relations; CCH Australia Ltd, Sydney, 175-188. Buchanan J, and Wise S (2008) Survey of Strategic Investment Program Grantees: Views and Experiences of 2005-06 Grantees in the Textiles, Clothing and Footwear Strategic Investment Program Prepared for the Review of Australia's TCF Industries Building Innovative Capabilities: Review of the Australian Textile, Clothing and Footwear Industries, Volume 2; Commonwealth of Australia, Australia, 113-135. Bohle P, Buchanan J, Cooke T, Considine G, Jakubauskas M, Quinlan M, Rafferty M, and Ryan R (2008) The evolving work environment in New Zealand: Implications for occupational health and safety - NOHSAC Technical Report 10; National Occupational Health and Safety Advisory Commission, Wellington, 1-130. Buchanan J, and Wise S (2008) The SIP Experience: Survey of post-2005 TCF SIP Recipients. Van Wanrooy B, Jakubauskas M, Buchanan J, Wilson S, and Scalmer S (2008) Australia at Work - Working Lives: Statistics and Stories. Buchanan J, and Considine G (2007) From labour to work: Evaluation of, and options for, Victoria's Prison Industries. Evesson J, Buchanan J, Bamberry L, Frino E, and Oliver D (2007) Lowering the Standards: From Awards to Work Choices in Retail and Hospitality Collective Agreements. Wise S, and Buchanan J (2007) Survey of NSW Emergency Physicians. Wise S, Oliver D, and Buchanan J (2007) Future of the Rail Workforce in NSW. Briggs C, Buchanan J, and Watson I (2006) Wages Policy in an Era of Deepening Labour Market Inequality Occasional Paper Series - Academy of the Social Sciences in Australia, vol. Policy Paper no.4. Buchanan J, Watson I, Briggs C, and Campbell I (2006) Beyond Voodoo Economics and Backlash Social Policy: Where Next for Working Life Research and Policy Australian Bulletin of Labour, 32 (2), 183-201. Buchanan J (2006) From 'skill shortages' to decent work: - the role of better skill eco-systems 20th Conference of the Association of Industrial Relations Academics of Australia and New Zealand (AIRAANZ 2006); University of South Australia, Centre for Research in Education, Equity and Work, Adelaide. Buchanan J, and Briggs C (2006) Workchoices: The new social engineering 20th Conference of the Association of Industrial Relations Academics of Australia and New Zealand (AIRAANZ 2006); University of South Australia, Centre for Research in Education, Equity and Work, Adelaide. Buchanan J, Briggs C, and Considine G (2006) Les Syndicats et L'intensification du travail: apercus des secteurs australiens du metal, de l'ingenierie et des soins infirmiers Organisation et intensite du travail; Octarès Editions, Toulouse, France, 399-408. Buchanan J, Briggs C, and Considine G (2006) Unions and work intensification: Insights from the Australian metal and engineering, mining and nursing sectors Organisation et intensite du travail; Octarès Editions, Toulouse, France. Buchanan J (2005) Recasting Australian employment law: implications for the health sector Australian Health Review, 29 (3), 264-269. Buchanan J, and Briggs C (2005) Unions and the Restructuring of Work: Contrasting Experiences in the Old and New Heartlands Labour and Industry, 16 (1), 5-22. Buchanan J, and et al V (2005) Whatever happened to life-long learning? Lessons from recent Australian vocational education and training reforms Growth (CEDA Growth Series), 2005 (56), 14-21. Buchanan J (2005) Skills and the Sustainability of a Manufacturing Sector in Transition: Lessons from Australian Metal and Engineering 1980-2000 Beijing Forum: The Harmony of Civilizations and Propserity for All - Asia's Opportunities and Development in Globalization; Beijing Forum, China. Buchanan J, and Hall R (2005) Skills in Contemporary Australian Services Industries: from Skill Shortages to Workforce Development 23rd International Labour Process Conference. Buchanan J, Watson I, Briggs C, and Campbell I (2005) Beyond fragmented futures: Where next for working life research and policy? 19th Conference of the Association of Industrial Relations Academics of Australia and New Zealand AIRAANZ 2005; Association of Industrial Relations Academics of Australia and New Zealand (AIRAANZ), Australia. Buchanan J, and Considine G (2005) Combating work intensification: Do nurse-patient ratios reduce workloads in Australian public hospitals 23rd International Labour Process Conference. Buchanan J (2005) Meeting the medical locum challenge: options for NSW public hospitals. Pocock B, Buchanan J, and Campbell I (2004) Meeting The Challenge Of Casual Work In Australia: Evidence , Past Treatment And Future Policy Australian Bulletin of Labour, 30 (1), 16-32. Buchanan J, and Briggs C (2004) 'Rethinking left union strategy: Left productivism and the labour process in Australia since the end of cold-war' 22nd International Labour Process Conference. Buchanan J, and Evesson J (2004) Redefining skill and solidarity at work: insights from Group Training Arrangements in Australia 22nd International Labour Process Conference. Buchanan J, Briggs C, and Considine G (2004) Unions And Work Intensification: Insights From The Australian Metal And Engineering And Nursing Sectors 18th AIRAANZ Conference: New Economies, New Industrial Relations 2004; Association of Industrial Relations Academics of Australia and New Zealand (AIRAANZ), Sydney. Pocock B, Buchanan J, and Campbell I (2004) New Industrial Relations: Meeting the Challenge of Casual Work in Australia 18th AIRAANZ Conference: New Economies, New Industrial Relations; Association of Industrial Relations Academics of Australia and New Zealand (AIRAANZ). Watson I, Buchanan J, Campbell I, and Briggs C (2004) Fragmented Futures: Trends and Challenges in Australian Working Life The British Sociological Association Work, Employment and Society Conference; The British Sociological Association, University of Manchester. Buchanan J (2004) The European Social Model: An Australian Perspectve On Its Meaning, Impact And Potential Evolution The European social model: On the way to a transnational welfare state, WZB yearbook; Edition Sigma, Germany. Buchanan J, Watson I, and Briggs C (2004) Skill And The Renewal Of Labour: The Classical Wage-Earner Model And Left Productivism In Australia The Skills That Matter; Palgrave Macmillan, United Kingdom, 186-206. Buchanan J, Watson I, and Meagher G (2004) The Living Wage In Australia: History, Recent Developments, And Current Challenges Living Wage Movements: Global Perspectives; Routledge imprint of Taylor & Francis, London, 122-137. Campbell I, Watson I, and Buchanan J (2004) Temporary Agency Work In Australia (Part 1) International Perspectives on Temporary Agency Work; Routledge imprint of Taylor & Francis, London, 129-144. Buchanan J (2004) Paradoxes of Significance: Australian casualisation and labour productivity growth. Buchanan J, and Briggs C (2004) Not with a bang but a whimper? Skills and the future of NSW Manufacturing and Engineering. Buchanan J, and Evesson J (2004) Creating markets or decent jobs? Group training and the future of work. Buchanan J, Bretherton T, Bearfield S, and Jackson S (2004) Stable, but critical. The working conditions of Victorian public sector nurses. Pocock B, Buchanan J, and Campbell I (2004) Securing Quality Employment: Policy Options for Casual and Part-time Workers in Australia. Buchanan J (2003) Union amalgamations as a basis for union renewal in Australia: Insights from unfinished business Just Labour: a Canadian journal of work and society, 11, 54-63. Watson I, Buchanan J, Campbell I, and Briggs C (2003) Fragmented Futures: New challenges in working life; Federation Press, Australia. Campbell I, Watson I, and Buchanan J (2003) Temporary Agency Work in Australia: A basic profile and a few questions 17th Conference of the Association of Industrial Relations Academics of Australia and New Zealand; Association of Industrial Relations Academics of Australia and New Zealand (AIRAANZ), Melbourne. Cole M, Briggs C, and Buchanan J (2003) Where are the non-members? Unions 2002: Future Strategies for the Union Movement; National Key Centre in IR, Monash, Australia, 113-126. Pocock B, and Buchanan J (2003) Social exclusion and the Australian labour market: Reconfiguring inequality in work and care Social Exclusion: An Approach to the Australian Case; Peter Lang Publishing, Germany, 267-298. Three Year Collaborative Research Partnership on Vocational Education and Training (VET) Reform in NSW; Buchanan J, Oliver D, Saavedra A; NSW Department of Industry/Project Support. Request for Tender - DEEWR - Research, Evaluation and Analysis Panels; Buchanan J; Department of Education, Employment and Workplace Relations/Research, Evaluation and Analysis Panels. Healthy workers initiative: industry profiles ; Buchanan J, Ryan R; Health Administration Corporation/Research Support. Literature review: supporting young people with mental illness in their transition from education to the workplace ; Buchanan J, Raffaele C; Mental Health Council of Australia/Research Support. Flexible Career Pathways and the development of a 'New Aboriginal Workforce' in the health sector: Sub Program (Activity 3: Qualitative comparative analysis of the Aboriginal Health Worker job role); Bretherton T, Buchanan J; Cooperative Research Centre for Aboriginal and Torres Strait Islander Health/Research Support. Deed of Standing Offer for the provision of social policy research, evaluation, data investment and professional development services; Buchanan J; Department of Families, Housing, Community Services and Indigenous Affairs/Social Policy Research Services Agreements. Reserve Bank Survey of Inflationary and Wage Expectations; Buchanan J, Raffaele C; Reserve Bank of Australia/Research Support. tba; Buchanan J; Fair Work Commission/Research Support. Innovation work: Cotton workforce development for sustained competitive advantage; Buchanan J; Cotton Research and Development Corporation/Research and Development Projects. Incentives to Bargain Research; Buchanan J, Bretherton T, Verma G, Schutz J; Fair Work Commission/Research Support. The changing situation of electrical apprenticeships; Buchanan J; Electrical Trades Union (ETU)/Research Support. From Competencies to capabilities project; Buchanan J; New South Wales Department of Education and Communities/Research Support. EMERGENCY DEPARTMENT WORKFORCE - LITERATURE REVIEW; Buchanan J, Raffaele C; Emergency Care Institute NSW/Research Support. Identify award reliance for employees; Buchanan J, Wright S; Fair Work Commission/Research Support. Workchoices and the Evolution of Australian Working Life: Understanding the Changing Role of the Labour Contract; Van Wanrooy B, Considine G, Robertson J, Wright S, Chan S, Buchanan J; Australian Research Council (ARC)/Linkage Projects (LP). Police@Work: A longitudinal Study of police workers in Australia; Buchanan J, Burgess M; Police Federation of Australia/Research Grant. Trust and the changing nature of work; ; DVC Research/Postdoctoral Fellowship (Sesqui). The Changing Role of Not-for-Profit Organisations School to Adult Life Transition Through Work and Study. ; Watson I, Zappala G, Buchanan J; Australian Research Council (ARC)/Strategic Partnerships with Industry - Research and Training (SPIRT). Workplace agreements: what difference do they really make? ; Buchanan J, Golden J; Australian Research Council (ARC)/Strategic Partnerships with Industry - Research and Training (SPIRT). The impact of the changing nature of share ownership in work in Australia. ; Buchanan J, Watson I; Australian Research Council (ARC)/Small Grants. Professor John Buchanan was quoted in the Sun Herald about demand for science graduates in the labour market. ABC Radio Southeast NSW interviewed Professor John Buchanan about wage growth. ABC Radio National and ABC Online interviewed Professor John Buchanan about a bias to reward investors over employees hampering wage growth. ABC 7.30 interviewed Professor John Buchanan about Australia’s ageing workforce. ABC Online quoted Professor John Buchanan about jobs in regional areas of Australia. John Buchanan from the Workplace Research Centre at the Business School highlights the challenges facing Qantas following the recent industrial action.